This grade is analogous to Select grade. Sorting is performed by the better face. 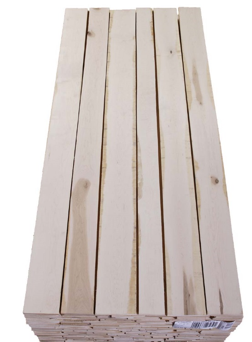 So, if one face is clean (select) and white, and the back face has some defects (#1 Common) but is also white, then such board is recognized as WSB Superior White grade. The front face shall be at least 90% white. The back face shall be at least 75% white. 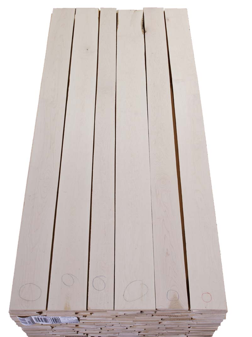 Minimum clear wood cutting: 75mmx 2100mm or 100mmх 1500mm. Limited presence of live point knots (up to 5-7 knots, up to mm) on a clear cutting shall not be classified as a defect. The lengths are from 1830mm and longer with any pace. The ends are straight and even. The boards with lengths from 1830 mm to 2135 mm shall not exceed 10% of the batch.